The Laos sausage is served with a chile paste that packs a punch. The first restaurant offering Laotian-style cuisine has opened in St. Louis. 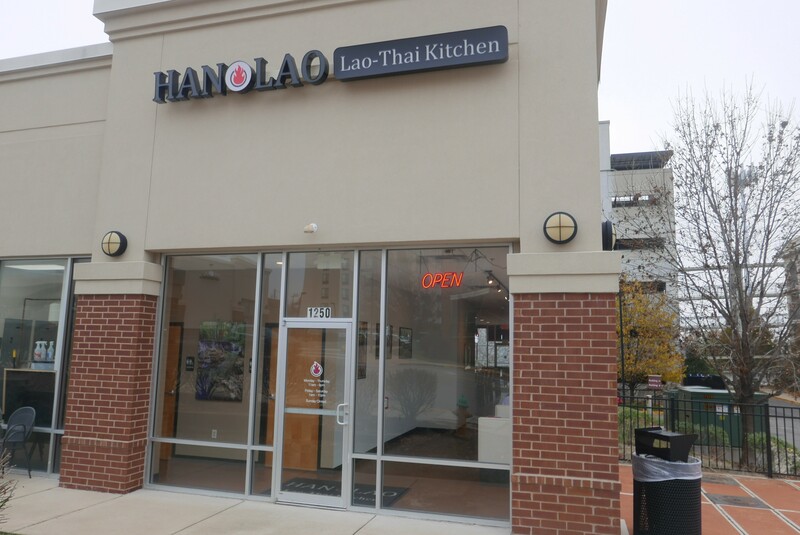 Han Lao (1250 Strassner Drive, Brentwood; 314-932-1352) offers both Laotian and Thai cuisine. Han Lao is the latest endeavor from restaurateur Thom Chantharasy, whose other concepts include the former Sekisui on South Grand and the current ramen hotspot, Robata, in Maplewood. While Han Lao might seem like a smaller spot from the street, inside it is quite spacious. 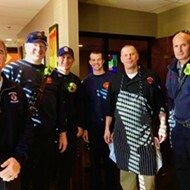 There are several seats at the bar where guests can watch the chefs in action in the open kitchen, plenty of booths, and ample communal seating in the middle of the room. The space is sleek and minimally appointed with marble table tops and tan walls that allow the brightness to shine through outside. Inside, the restaurant room is light-filled, even on a dark and cold night. The interior is clean and bright with plenty of room. Laotian food is closely connected with the cuisine of neighboring northeast Thailand. 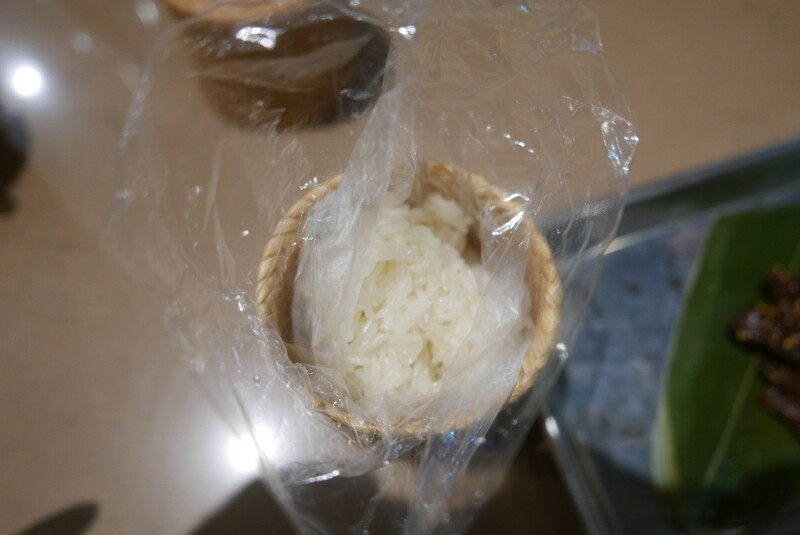 One of the main staples is sticky rice. The specialty is an off-white color and is served wrapped in plastic inside a narrow wicker basket. It features prominently on the menu at Han Lao and can be added for an additional $1 to many entrees. 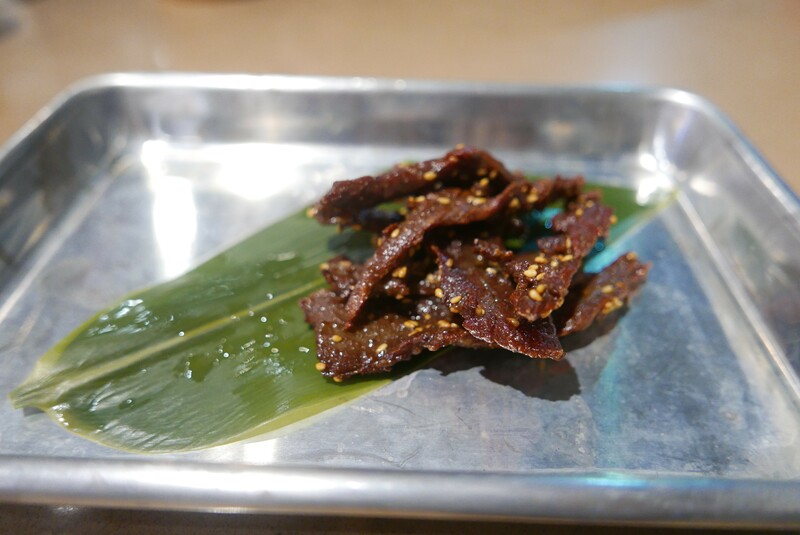 Look for dishes like beef jerky, made of flank steak that is soaked in house sauce and then deep fried. And while the name may connote the pre-packaged gas station snack, this version is tender and easy to chew. At first bite, it seems that an intense spice will kick in, but the heat settles and becomes sweet, especially when paired with the sticky rice. 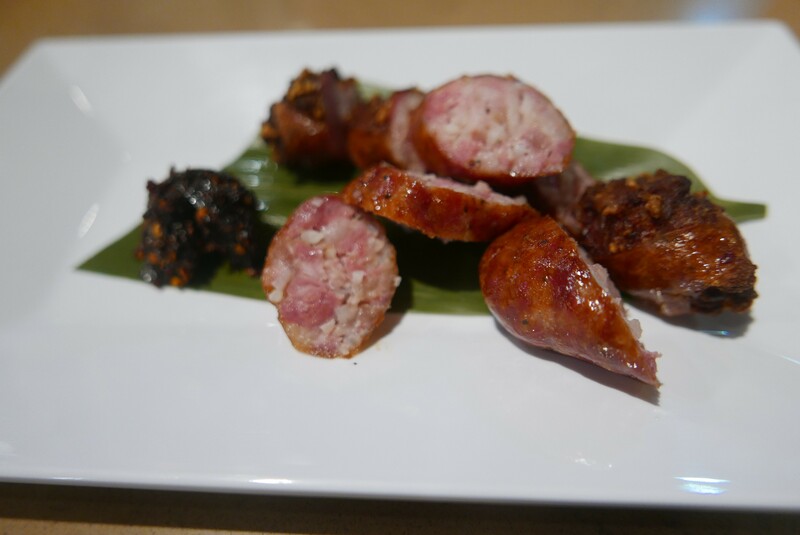 Other dishes include Lao sausages, which have a snappy outer layer and juicy interior. Fiery chile paste, served as an accompaniment, beckons diners to try a tad more each time. Nam khao, another specialty, is a delectable red curry soup. 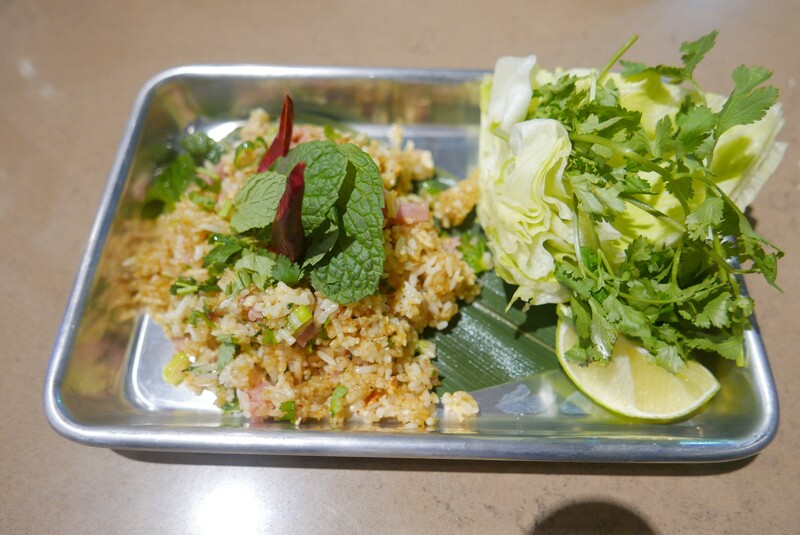 And you cannot leave without trying the coconut rice salad with optional nam moo (pickled pork sausage), served with fresh herbs, whole dried peppers, and lettuce. 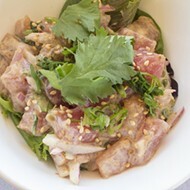 This popular Laotian dish is often eaten in a lettuce wrap, which is served on the side of the salad. The nam khao is a popular dish in Laos. 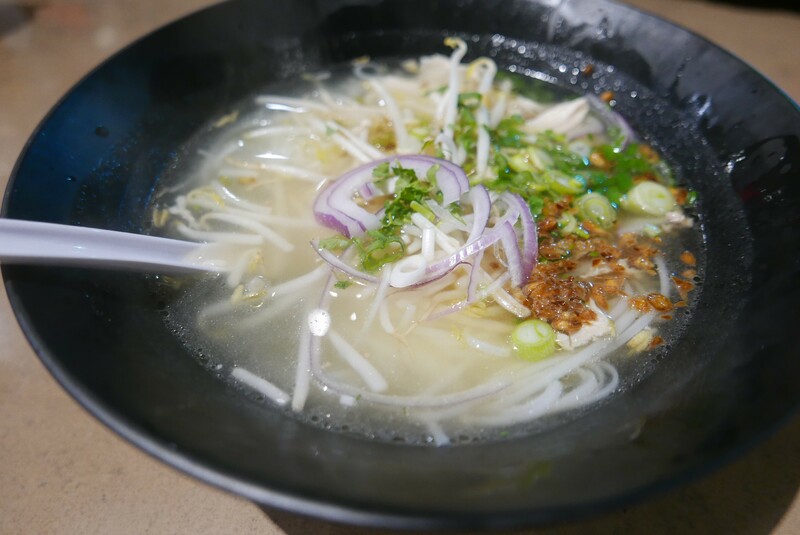 In addition to the more authentic Laotian offerings, Han Lao features items like blue crab Rangoon and chicken pho. 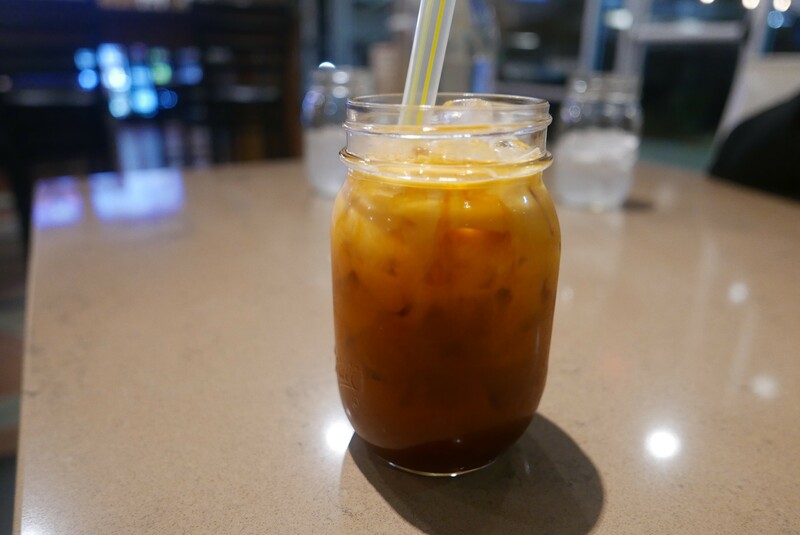 For Thai tea enthusiasts, Han Lao's rendition — also available with tapioca as bubble tea or with rum — is sure to please. The restaurant takes its beverage program seriously: A whole menu page is devoted to wines, beers, and cocktails, along with several other flavors of bubble tea. Most dishes are priced between $5 and $9 and are are smaller portion sizes to encourage sampling. As the city's first Laotian restaurant, the price point and sharable style of dining is meant to expose diners to a wide range of authentic cuisine in one sitting. 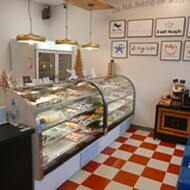 Han Lao is open Monday through Thursday 11 a.m. to 9 p.m. and Friday through Saturday 11 a.m. to 10 p.m.
Click through for more photos of Han Lao. The Thai tea is creamy and delicious. The beef jerky is unlike anything served as a gas station snack. Sticky rice is a Laotian staple. 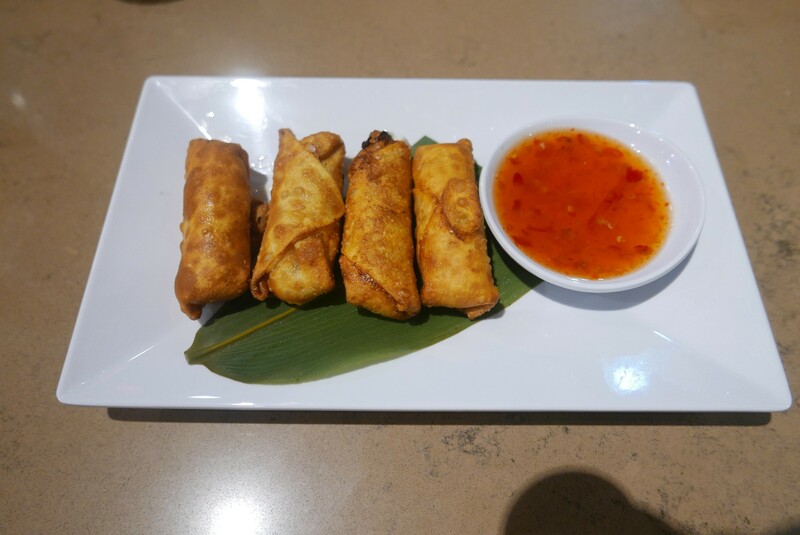 The crab rangoon uses real blue crab meat and is creamy and full of flavor. The chicken pho is a server's favorite dish on the menu. 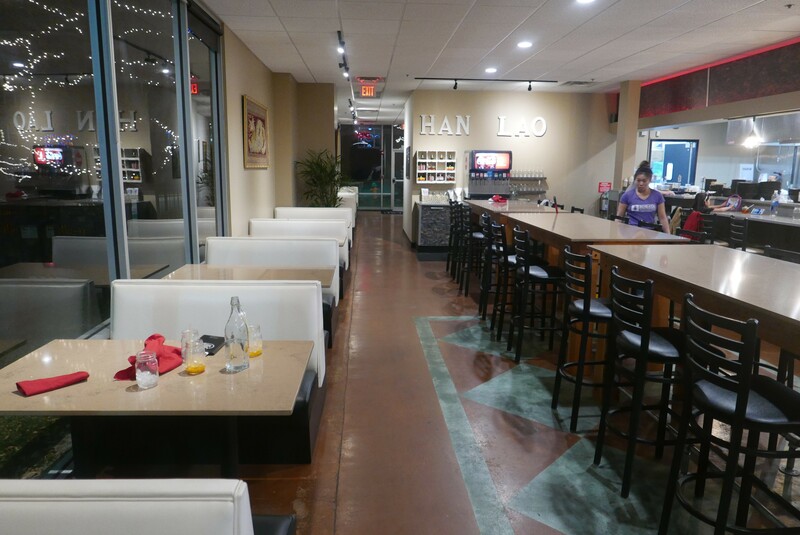 Han Lao is now open in Brentwood.